It has been a while, but are you doing well? Today I want you to listen to me. Now my grampa is at welfare facilities for the aged. He has forgotten my name Miki. My mom said for him. ‘Hey dad, who is she? Whose name is Miki?’, I was utmost smiling to grampa. He said ‘… I don’t know. Who is she?’. I cried. and grampa is older cancer patient. so he has not medical operation. He is sleeping sleeping sleeping… anytime. 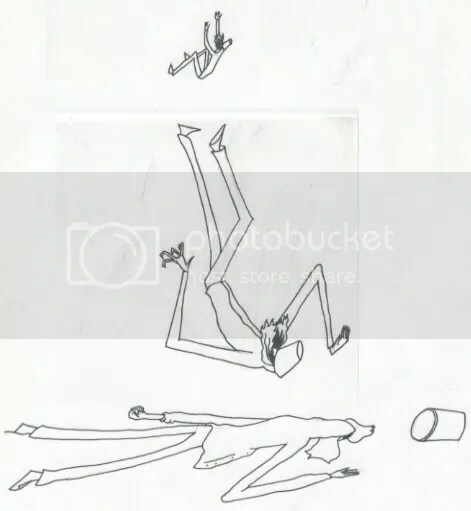 There is nothing i can do. I am just a bit tired, maybe it is just like you a few years back. The time left for grampa is really small. Brian, please send much great music next year to rim of the world. The world may be filled with sorrow. However, we can hold hand together. 5. You’re well-known for doing work for Buckethead. How did you come to know him? I was obsessed with P-Funk when I was growing up so I had the first Praxis album, Transmutation (Mutatis Mutandis) because it had Bootsy Collins and Bernie Worrell on it. 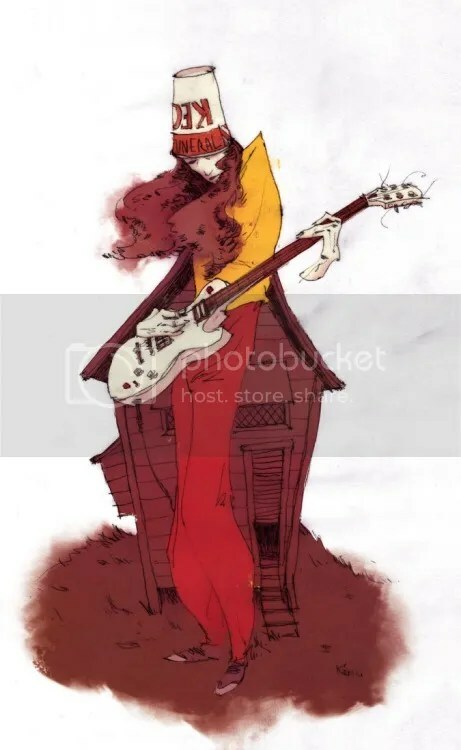 That became my favorite album for a while and then my friend who played guitar showed me an article and some columns from Buckethead in Guitar Player Magazine, so I found out about the chicken coop and the park and everything. 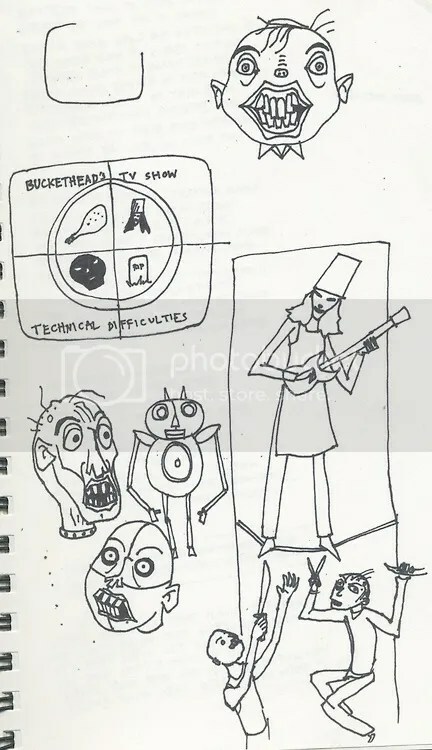 After I got the Bucketheadland album I drew some pictures and sent them to the address, and he liked them. So from there it developed over the years, I did more work for him. I don’t consider myself a great artist but a lot of what I’m good at I really learned from working with him over the years and getting a lot of practice. 6. I heard that your art for “3 Foot Clearance” was inspired by a Power Man and Iron Fist comic. Did you read a lot of comics when you were younger? How about now? I only dabbled in comics as a kid but as a teen I became obsessed with The Dark Knight Returns, Watchmen, Sandman and those kinds of things. These days I actually read more comics than I ever did, especially mainstream super hero stuff like all the Batman titles. But my favorite comics ever are the Lone Wolf and Cub series and the ones written by Alejandro Jodorowksy like Metabarons, Technopriests and The Megalex. 8. And is there a particular reason that the one song on Kaleidoscalp, “Frankenseuss Laboratories”, bears your name? I think it was just a nice gesture to me, because it sounds like me working on an experiment or something. But now if you Google Frankenseuss it mostly brings up references to the song! 9. 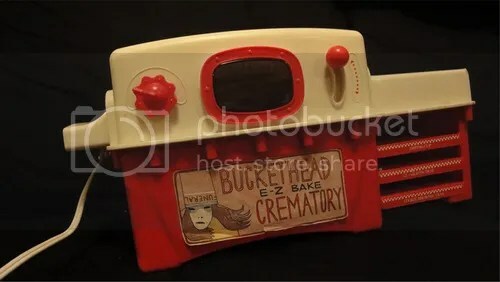 The “E-Z Bake Crematory” you did for Bucketheadland 2 is one of my favorite pieces you’ve ever done; it’s so genius! Where did you get such an awesome idea? 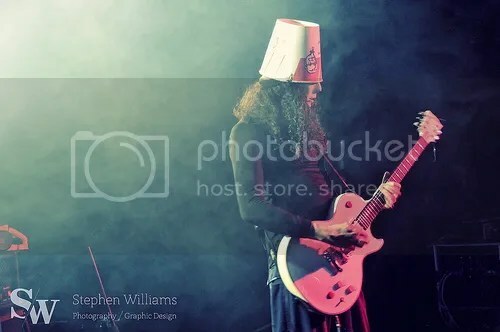 I found that vintage toy oven at an antique mall and it was in KFC colors so it reminded me of Buckethead. 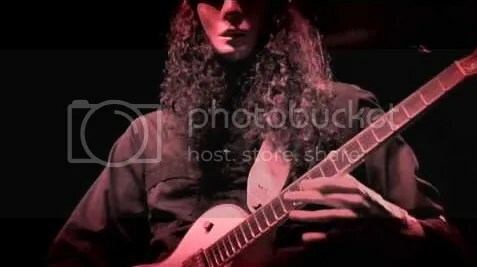 Buckethead E-Z Bake Crematory, 2003. 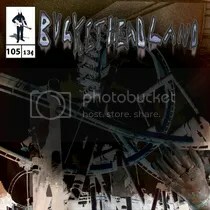 For the booklet of Bucketheadland 2 I wanted to show all the different Bucketheadland collectables that had been made over the years. This was an actual E-Z Bake oven I bought at an antique store. The red and white color scheme reminded me of KFC. 10. The titles “Slaughterhouse On the Prairie” and “3 Foot Clearance” were your ideas; were any other songs or titles that you came up with or that were inspired from your artwork? I didn’t intentionally name “3’ Clearance” but that was what was written on the rollercoaster sign in my drawing so it made a good title. There might be other ones but I can’t think of any off hand. 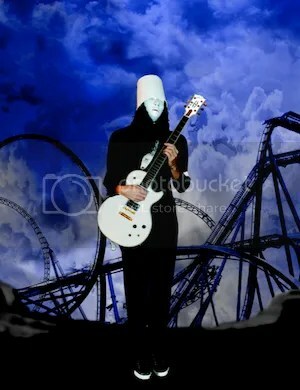 Buckethead always has millions of titles.